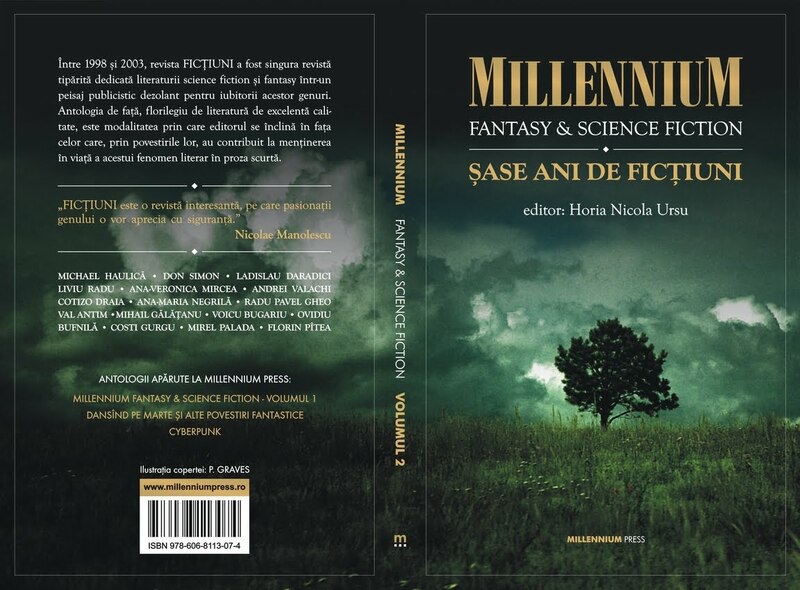 Dark Wolf's Fantasy Reviews: Another interesting Romanian anthology - "6 Years of Fiction"
Are there English editions of Romanian SF that can be ordered? I saw on facebook the covers of Florin Pitea's SF criticism which I would love to read. Searching for Pitea's work lead me to your blog, where I see all sorts of Romanian SF. Well, there is one, Dan Dobos' novel, "The Abbey", that can be found on Amazon http://www.amazon.com/Abbey-Dan-Dobos/dp/0982432984/ref=sr_1_3?ie=UTF8&s=books&qid=1289474178&sr=8-3 and The Book Depository http://www.bookdepository.co.uk/book/9780982432983/The-Abbey. It is an interesting novel and hopefully it will open the road for others being translated in English. Besides this one I am not aware of another title available in English, unfortunately. Cred ca o sa-i dau in judecata pentru drepturi de autor.